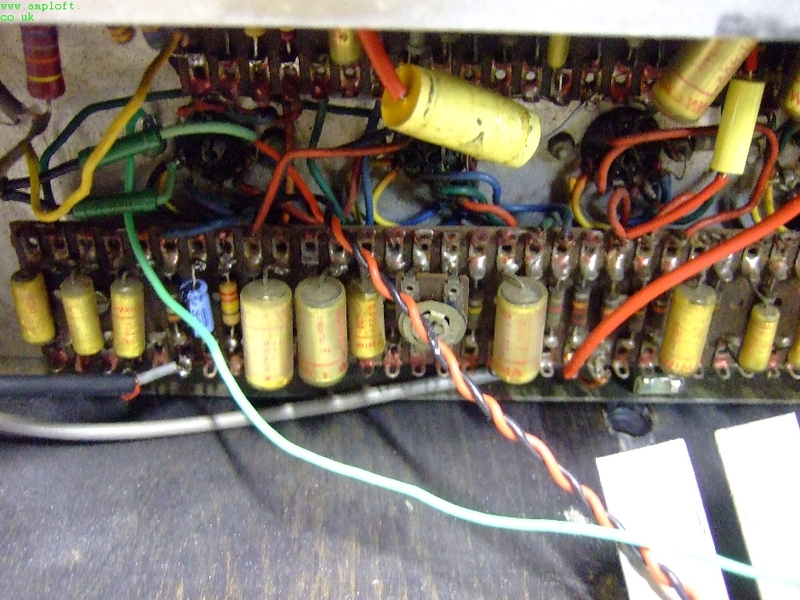 This AC30 came to me with a strong smell of burnt mains transformer. 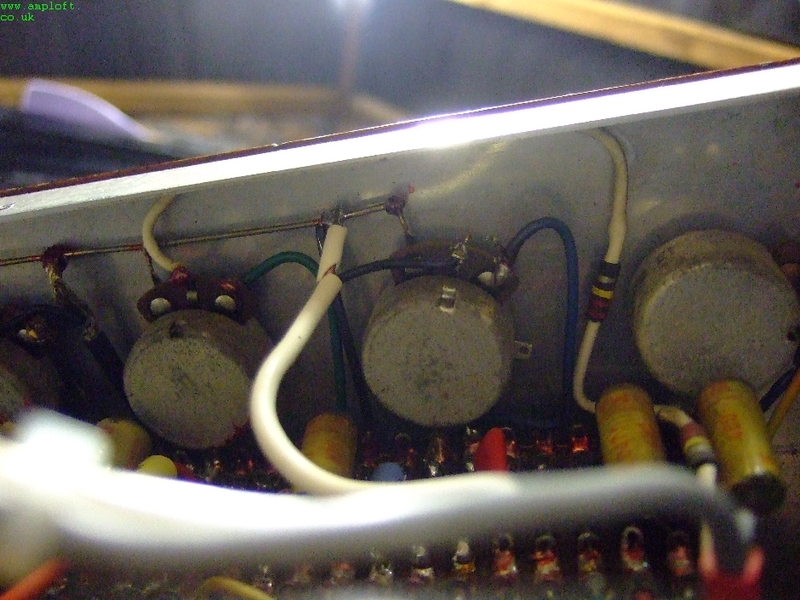 This is not unusual as old transformer windings are insulated with Paper and wax – sometimes you can see it leaking out of your vintage amp. But you know what 40 years without the occasional leak is not that bad. 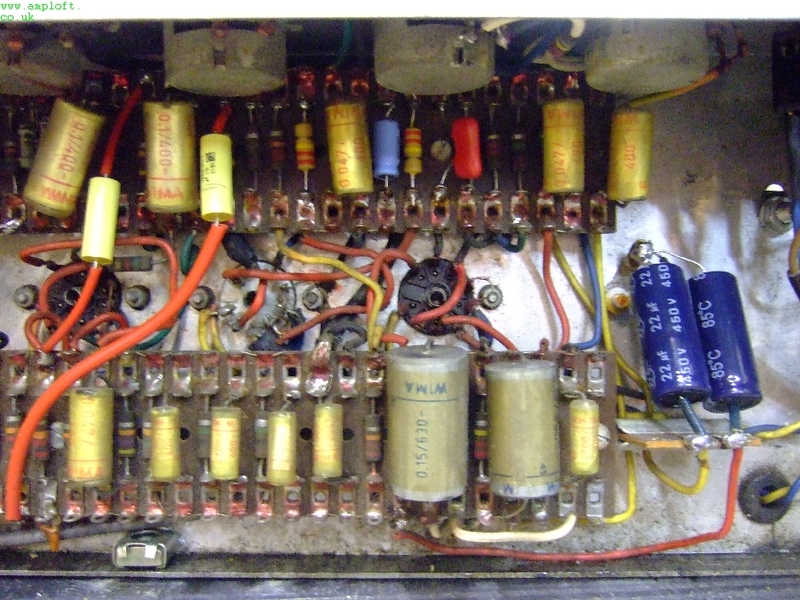 Finding a replacement is possible as there are a number of companies offering replica transformers or rewound transformers which is possible if the metal core, or laminates are in good condition. Too much rust though and you have to replace. The modern ones are well made and relatively easy to fit one you have adapted the chassis due to differences between imperial and metric dimensions of the old and the new. 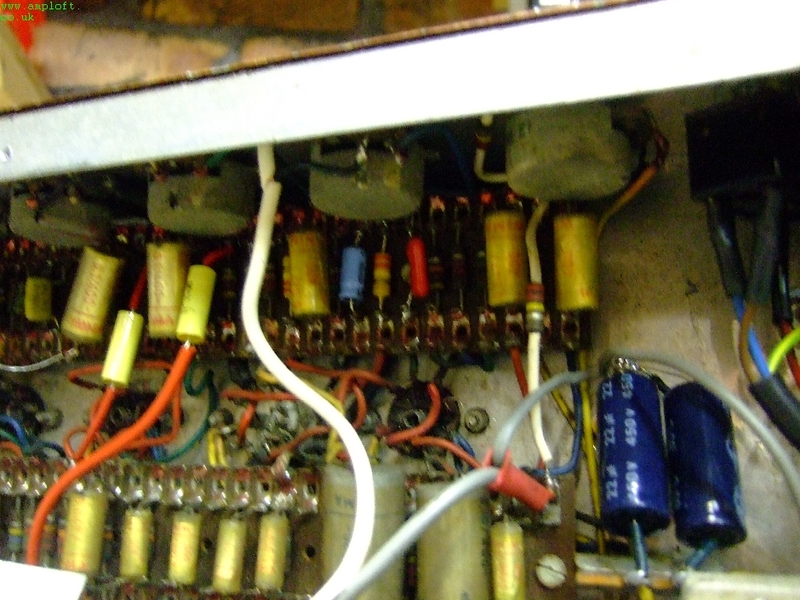 If the transformer has gone you may need to look at why it chose to blow at the precise time. 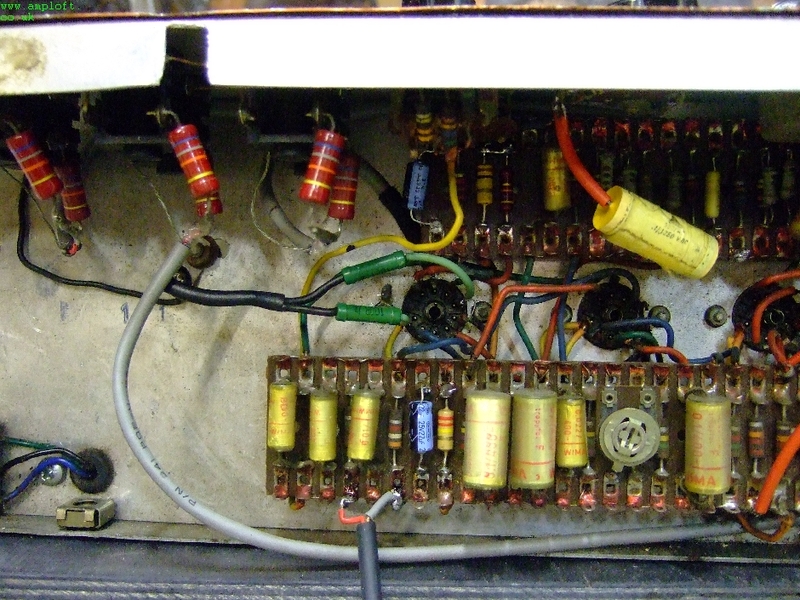 In other words there might be another cause such as a shorting out power tube or rectifier. 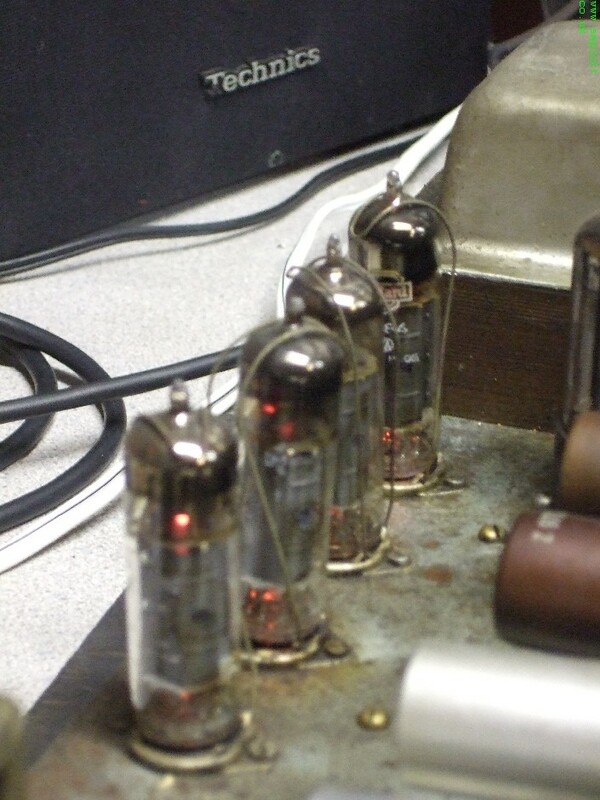 With vintage amps the benefits of repair are definitely worth it when you consider the high value of such amps. 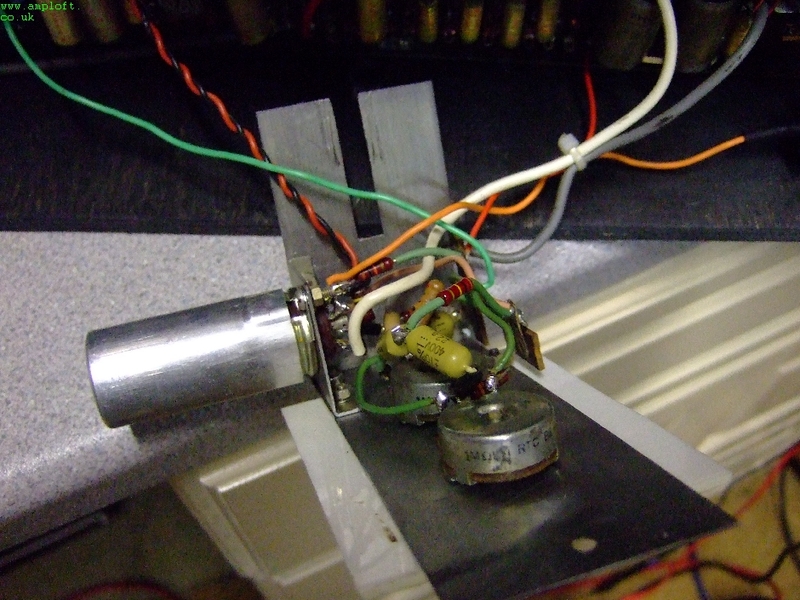 Again with this AC30 the tone controls have a curiously counter intuitive where the boost comes from turning down? 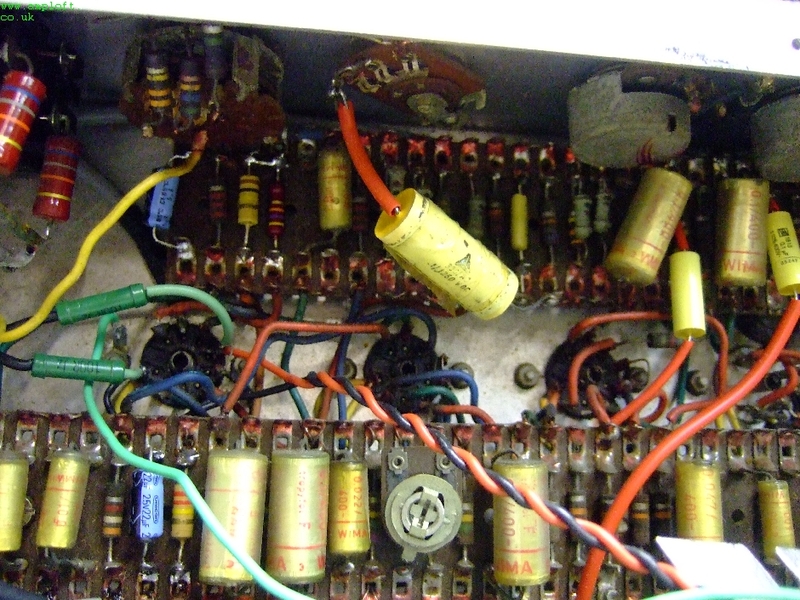 Weird but seems to be the original wiring. 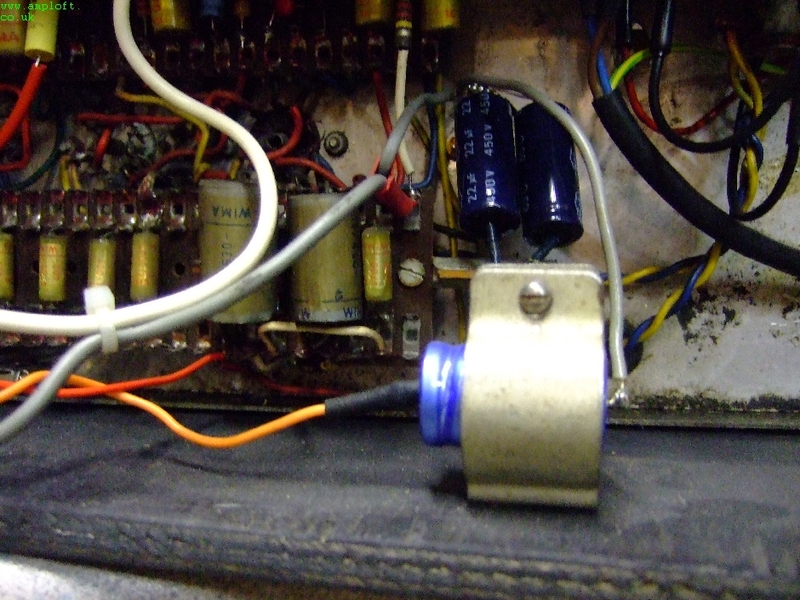 I like to reverse this and in fact on old amps like this I usually encourage clients to replace all the pots in one go as they only cost a few pounds and keep the same feel across all the controls. 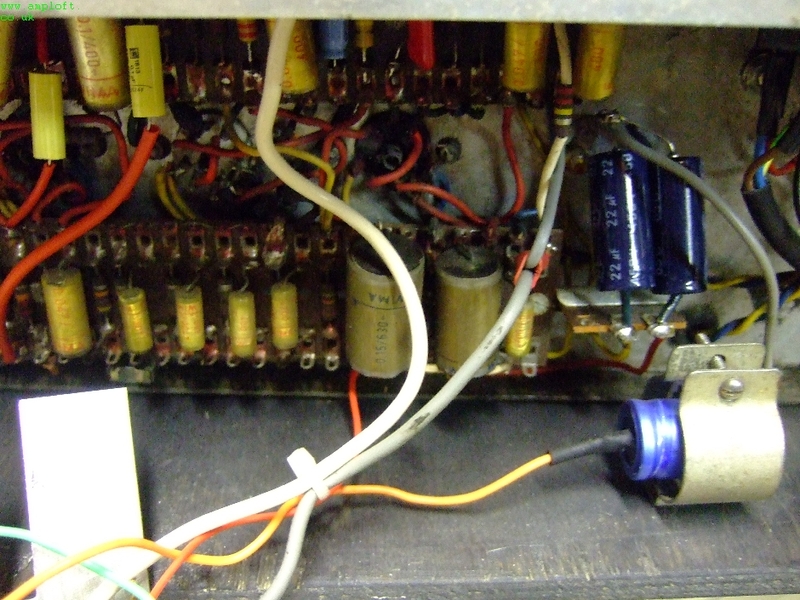 1960’s VOX AC30 original chassis in a modern reissue cabinet. This one had the top boost added some time back but the owner felt it was just a little too brash. So let’s remove and try it without. 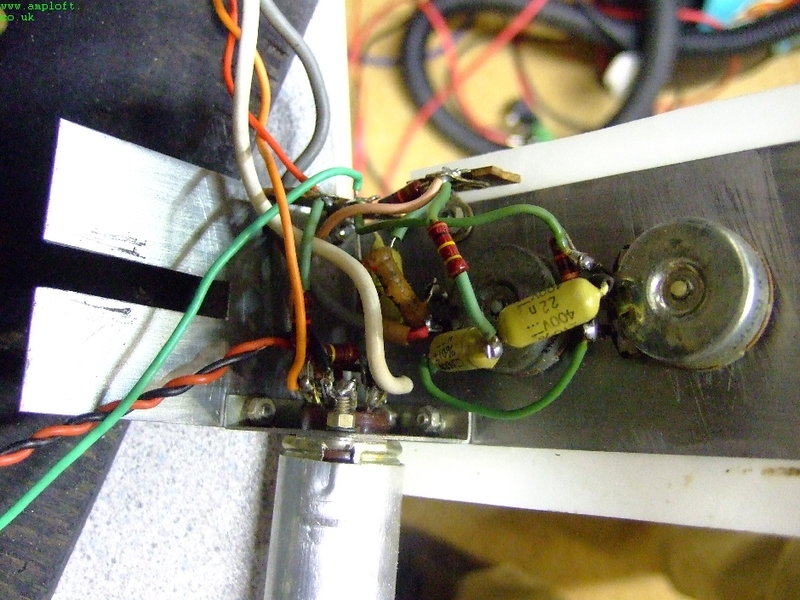 It’s quite an easy job to install and remove the top boost as there are just a few wires to worry about. 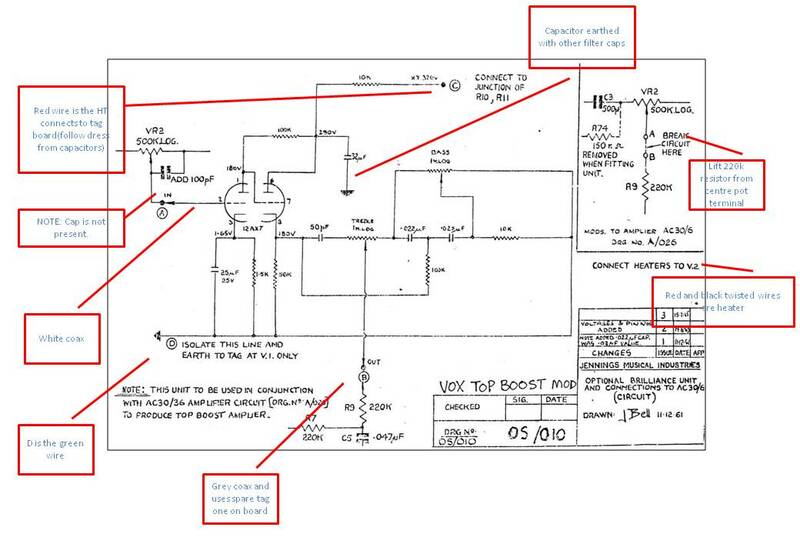 There is a diagram below.